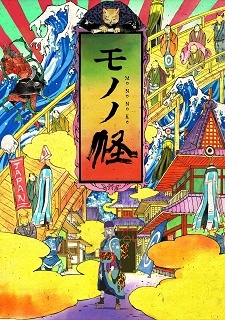 Mononoke is a spin-off of the Bakeneko story arc of Ayakashi: Japanese Classic Horror. It follows the Medicine Seller as he deals with various spirits or "Mononoke" in feudal Japan. Just like in the Bakeneko story, he combats with a series of tools and his vast knowledge of the supernatural on his side, but can only slay the Mononoke when he uncovers its form (Katachi), the truth behind its appearance (Makoto) and the reason for its unusual behavior (Kotowari).